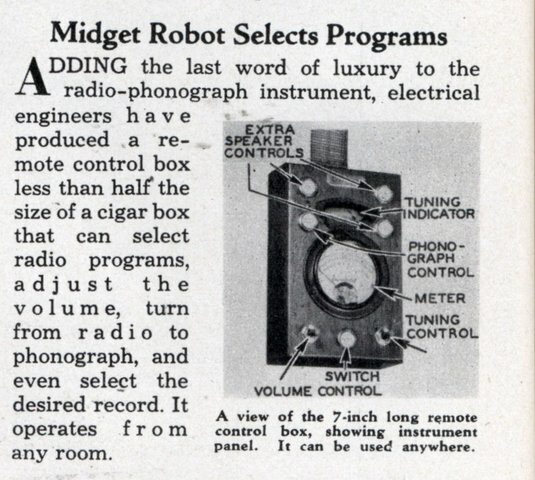 ADDING the last word of luxury to the radio-phonograph instrument, electrical engineers have produced a remote control box less than half the size of a cigar box that can select radio programs, adjust the volume, turn from radio to phonograph, and even select the desired record. It operates from any room. Yay! 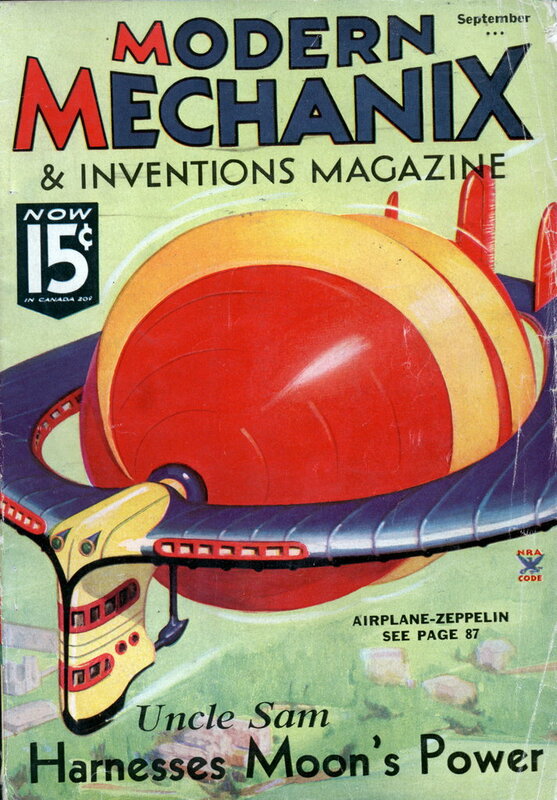 Further evidence for your “anything could be called a robot in the ’30s” thesis! That is a pretty impressive gadget, robot or not.